Modern conservation science transcends the traditional boundaries of biology, ecology and environmental management. Today’s managers of biodiversity need to be versed in a broad range of specialist fields, from population ecology and human community development, through to international wildlife trade and the economics of conservation, as well as the latest techniques in endangered species recovery. Our MSc in Conservation Biology is an interdisciplinary pathway that integrates all of these aspects of conservation biology. It is designed for wildlife managers with practical experience in international conservation work looking to acquire formal scientific training, as well as students with academic qualifications looking to develop a career in conservation. 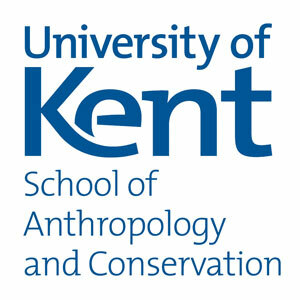 Conservation programmes offered by the School of Anthropology and Conservation are delivered by members of DICE. Our staff have outstanding international research profiles, yet integrate this with considerable on-the-ground experience working with conservation agencies around the world. This combination of expertise ensures that our programmes deliver the skills and knowledge that are essential components of conservation implementation. Please note that not all modules necessarily run every year. Please contact the School for more detailed information on availability. Assessment is carried out primarily through coursework with written examinations for some modules. The research dissertation is written up in the format of a paper for publication. - assist you to develop the skills required for both autonomous practice and team-working. The School has a very good record for postgraduate employment and academic continuation. DICE programmes combine academic theory with practical field experience to develop graduates who are highly employable within government, NGOs and the private sector. Our alumni progress into a wide range of organisations across the world. Examples include: consultancy for a Darwin Initiative project in West Sumatra; Wildlife Management Officer in Kenya; Chief of the Biodiversity Unit – UN Environment Programme; Research and Analysis Programme Leader for TRAFFIC; Freshwater Programme Officer, International Union for Conservation of Nature (IUCN); Head of the Ecosystem Assessment Programme, United Nations Environment Programme-World Conservation Monitoring Centre (UNEP-WCMC); Community Based Natural Resource Manager, WWF; Managing Partner, Althelia Climate Fund; and Programme Officer, Gordon and Betty Moore Foundation. Visit the MSc in Conservation Biology page on the University of Kent website for more details!